Your new home is more than a structure. Today, new construction homes deliver something different—performance. Advances in construction materials, methods, appliances, and systems enable homebuilders to produce homes that conserve energy and increase comfort. The homes at Grove at Ascension are eco-friendly and energy efficient, so, of course, we would use the same care for the environment of the neighborhood. The homes are respectfully situated in a country setting. Take a leisurely walk around the lake and enjoy the green spaces we maintain here, experiencing the serenity that comes with this comfortable lifestyle. If Grove at Ascension sounds like where you belong, we have a new construction home that is move-in ready. You could be living here this summer! 16491 Cypress Knee Drive offers three bedrooms and three baths in our 1,817-square-foot Briars floor plan. The open concept and high ceilings expand the spacious feeling. The living room includes a fireplace and rich wood floors. The kitchen is appointed with granite countertops, stainless steel appliances, and a center island with a breakfast bar. Take a look at where you could be living, for just $258,550. 43303 Meadow Grove Drive offers an upgraded presentation of our Gardenia floor plan. This new construction home provides 1,948 square feet of interior space. Four, comfortably-sized bedrooms and three full baths accommodate your family. Tucked privately in the back of the layout, the fourth bedroom has its own full bath, ideal for the multi-generational household. The master suite features a tray ceiling, walk-in closet, and a bath with dual vanities, walk-in shower, and whirlpool tub. Affordably priced at $268,950, this Grove at Ascension home is ready for you. Contact us at Alvarez Construction Company to arrange a personal tour of this new home and family-friendly neighborhood. 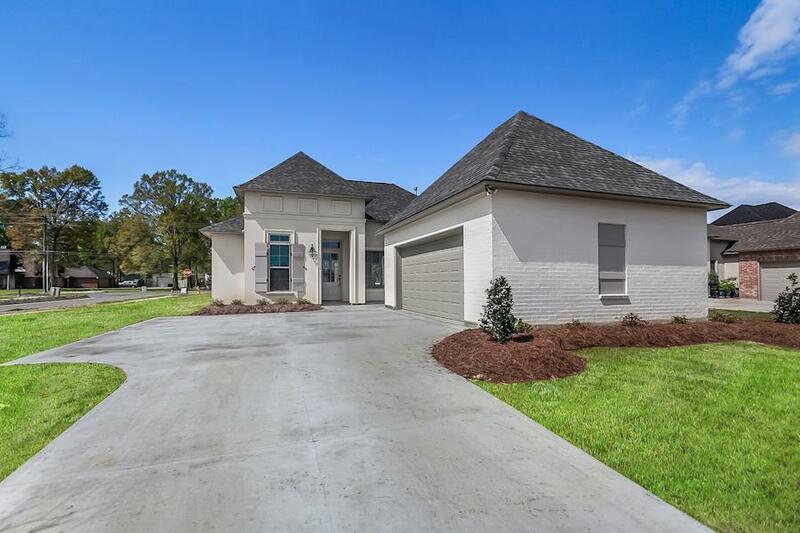 Also, browse our selection of available new construction homes in our other communities throughout the Baton Rouge area.